EUROPE’S biggest ever ‘boiler room’ has been dismantled in Spain. 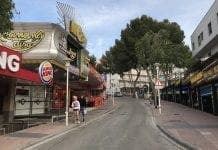 A total of 17 British expats have been arrested in Mallorca over the 57 million euro fraud that snared thousands of UK residents. The men, aged between 22 and 41, appeared in court accused of pressuring clients into investing in non-existent shares. Fake companies linked to the gang included Dyno Medical, Inca Pacific Gold and Mining and Viking Gold Resources. Police seized documents, including a 600-page client list and 50-page instruction book in the raid at the five-room nerve centre in Palma. DS Bob Wishart from the Economic Crime Directorate hailed the raid as a ‘major result’ against boiler rooms. 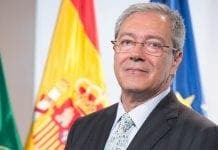 “It is the first time in Spain that authorities believe they have dismantled an operation of this scale in it’s entirety,” he said. Police seized 23 computers and 18 mobile phones and are now appealing to potential victims to come forward.